Commanders want to find people trying to interfere with position, navigation and timing systems like GPS, shown here, and quickly reconstitute that capability if necessary. MOUNTAIN VIEW, CALIFORNIA – U.S. combatant commanders are eager to employ space systems to improve Earth observation, missile warning, space situational awareness and position, navigation and timing, said Chuck Finley, former technical director of the Pentagon’s Operational Responsive Space office and its successor Air Force Space Rapid Capabilities office. “We recently did a triage and I will tell you the urgent needs,” Finley said Feb. 4 at the SmallSat Symposium here. 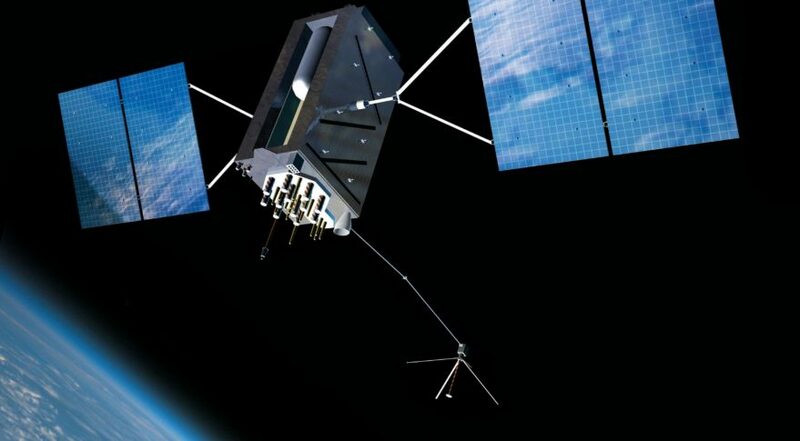 In terms of intelligence, surveillance and reconnaissance, commanders want to improve their ability to track “things and people doing things in a fleeting way,” said Finley, who now works for NASA. The mission is complex because the object or person of interest could be moving through varied terrain, like a forest or a city, or over water. Tracking moving people or objects is difficult to accomplish with space systems because it requires high revisit rates, Finley said. In addition, commanders want to find anyone trying to interfere with position, navigation and timing systems like GPS. Then, if anyone does tamper with the system, commanders want to quickly reconstitute the position, navigation and timing capability, Finley said. U.S. military commanders also need better space situational awareness. “People are very interested in keeping track of things in space, specifically in geostationary orbits,” Finley said. Meanwhile, new missile warning requirements are emerging. In January when the Pentagon released its 2019 Missile Defense Review, Acting Defense Secretary Patrick Shanahan described threats posed by “new and sophisticated missiles.” The Missile Defense Review describes “expanding missile threats” including hypersonic and advanced cruise missiles.